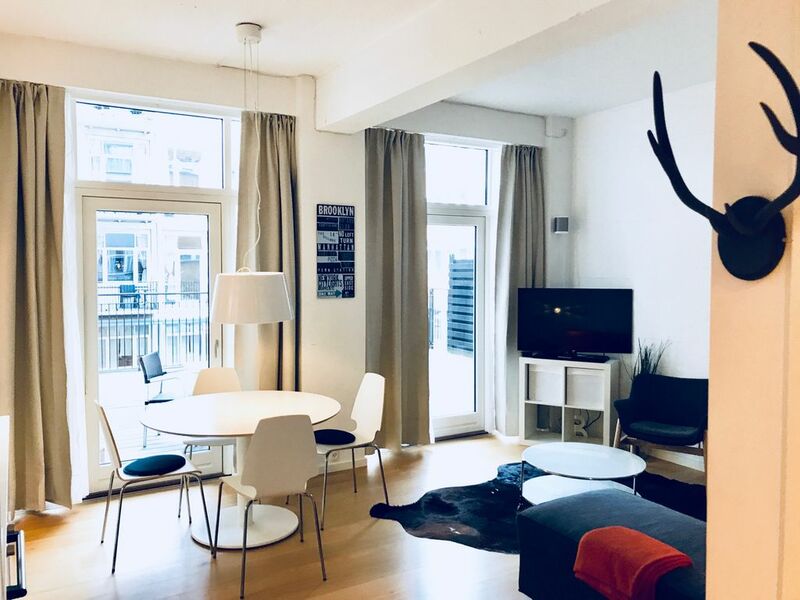 The apartment, which has its own large terrace, is perfectly located in Copenhagen's trendy neighborhood, Vesterbro, where you have the best of what Copenhagen has to offer within a short walking distance. Shopping, groceries, cafes, restaurants, music venues, Copenhagen's Meat-packing district with the largest Street Food market in Copenhagen. The apartment has a separate bedroom with a double bed and a very comfortable big double sofa bed in the separate living room. It has easy access with a chip key, elegant and inviting furniture design with natural light through floor to ceiling windows, and fully equipped with all necessary appliances such as washing machine, dryer, dishwasher, 200mb speed wireless internet connection and much more. We offer various services to our guests such as extra cleaning services, change of linen, private parking, access to 24/7 fitness room. This apartment was exactly what we needed. it was in the meat district & was near downtown Copenhagen & the train station. The kitchen was just what we needed & the bathroom was just the right size. And Kenn was wonderful to work with! Sehr sehr netter und kommunikativer Vermieter. Sehr sauber und gepflegte Wohnung in Top Lage.